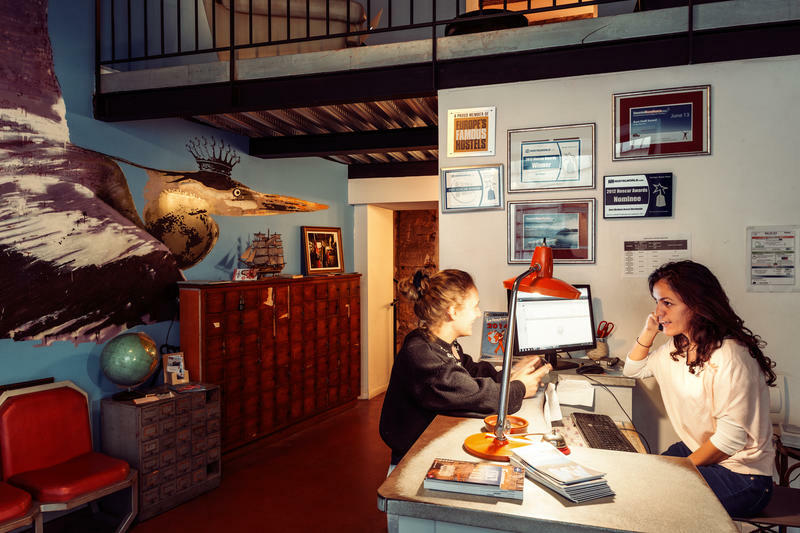 Voted the best hostel in France for 2011 by Hostelworld customers! Vertigo Vieux Port is a newly renovated hostel in Marseille. As for Vertigo Centre that opened three years ago, you can find the feeling of a second home here. Weâ€™re located in the Old Port area, walking distance from beaches, bars, clubs, the central market and the famous Notre Dame church. We offer charming two-, three-, four-, five- and six-bed rooms. All of our dorms are very clean and equipped with comfy wooden bunk beds, private shower and toilet facilities. The five- and six-bed dorms are equipped with two private bathrooms. Every room in our hostel is carefully designed and decorated by local artists according to the unique character of each room. Our building was renovated from two typical buildings which makes for a modern cosy atmosphere, while at the same time it has the feel of a typical Marseillean house. We offer a ton of free amenities, such as breakfast, Wi-Fi, linen, a fully-equipped kitchen with free spices, city maps, personal travel info, use of our travel guidebooks, luggage storage, book swap and a valuables safe at reception â€“ all for free! Our friendly, caring and multi-lingual staff are here 24hrs a day to answer all your questions. We'll try our best to make you have a memorable stay in our hostel and in Marseille. And of course thereâ€™s no curfew, no lockout and no stupid rules! We'll make sure that you feel like you're home here. After you have been either on the road all day, or walking around in the city, you'll be able to relax in our cosy and friendly common areas, have a drink, talk and make friends. When you are out and on the port, face the water and follow the port, walking along the left hand side of the harbour. About 200 meters from there, on your left, you'll find a bar called Â« the exite cafÃ© Â» and on its left, a small street called Â« RUE FORT NOTRE DAME Â», go up this street and the hostel is at number 38, on your right. - Afin de vous rendre de la gare St charles a notre hotel. Une fois sur le port, mettez vous face au port et longez le par la gauche. Marchez sur plus ou moins 200 metres, vous pourrez apercevoir un bar appelÃ© 'L'EXIT' et sur sa gauche une petite rue qui monte. Remontez jusqu'au numero 38 et vous serez arrivÃ©s.